Since the closing of The Muir Gallery several years ago, Comox Valley Arts has been looking for innovative ways to overcome the lack of gallery space to feature the collective work of local artists. The valley is home to an innumerable number of artists (touted as the highest per capital in North America) with lots of art, and the funds to operate gallery space are not in our budget right now. 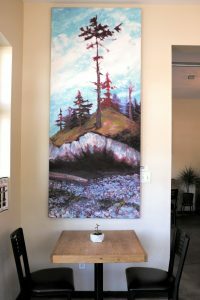 However, creative minds come up with creative solutions and now, instead of one gallery, Comox Valley Arts has created four galleries by negotiating space for local art in retail establishments. The largest venue is the Tin Town Cafe, currently featuring the Tin Town Artists who live and keep studios in the unique Courtenay neighbourhood. 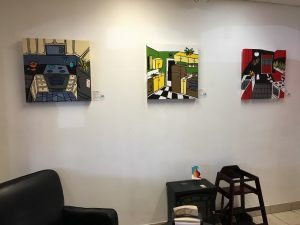 Some of them, namely Helen Utsal, Lucy Schappy, Barb Hutson, Ian Fry, Gordon Ross, Roberta Meilleur and Nancy J. Morrison have mounted a Summer Show of some of their works in the Tin Town Cafe on Rosewall Crescent. The café is a relaxed place to chill during the Summer Show running from the opening event on Thursday, July 19 from 7-9 p.m. through September 21. 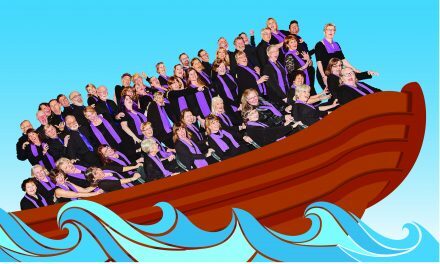 Everyone is welcome to enjoy refreshments while viewing paintings, stained glass, and unique metal and crystal window hangings. The smallest venue, although the first to come on board, is the Petit Bijou Gallery found in the lower lobby salon of the Sid William Theatre. 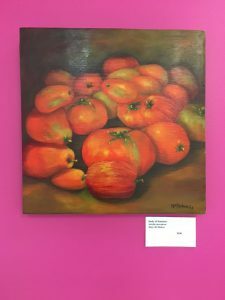 The art there will change at the end of July, but currently the public can enjoy paintings by Tracy Kobus, Wendy Morosoff-Smith and Trisha Scarlett Milne. Food-related art is currently installed at the Raw Talent Gallery found in Rawthentic Eatery (at 5th & England in Downtown Courtenay) where you’ll find one titled Hilda’s Dessert by David Ballantyne alongside Carol Schinkel’s funky yellow and green kitchens and Mary McMahon’s studies of oranges and tomatoes. 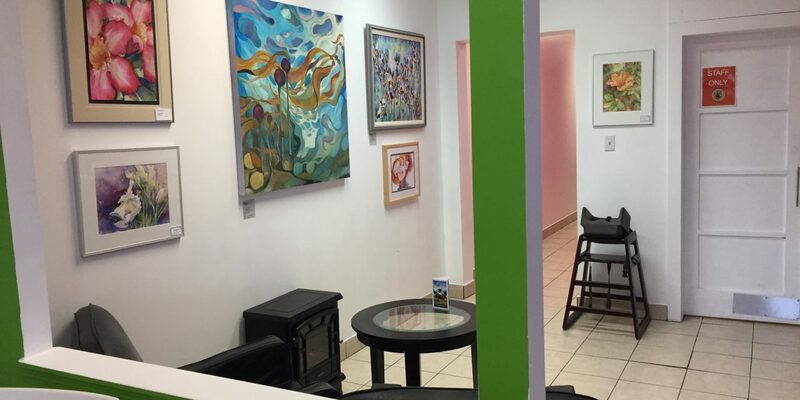 Included in the creative community of Cumberland, Royal LePage’s office will soon become the fourth gallery space with art by Sharon Lalonde slated to be installed in mid-July. We expect it will become known as The Big Gallery in honour of Cumby’s Big Store. 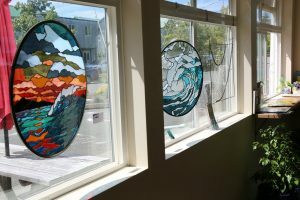 In addition to these four community galleries, Comox Valley Arts collaborates with Comox Airport-YQQ for a half-yearly exhibit throughout the airport’s public spaces. 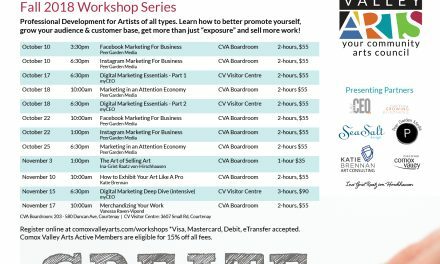 While the community galleries require membership to participate, the YQQ Arts & Culture Program is open to all artists in the YQQ Catchment area. 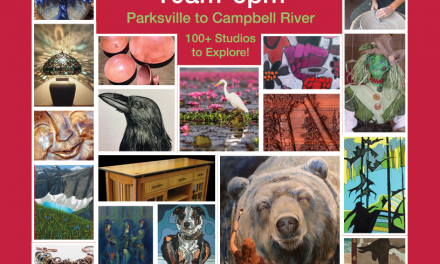 To enliven these new spaces, Comox Valley Arts welcomes artists of all genres to join their existing members to share their work throughout the Comox Valley community and showcase the abundance of talent in the Comox Valley. 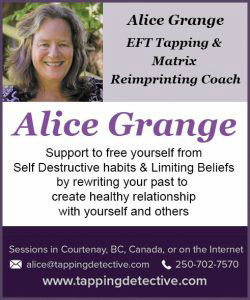 To become a member or to discuss lending your support as an external gallery contact visit comoxvalleyarts.com or email events@comoxvalleyarts.com.